There are some lists on which you’d rather not appear. The top ten countries with highest incidence of reported child abductions is one of them. Until this year, Japan featured prominently on this U.S. State Department List. In response to growing political pressure from the West, though, Japan finally signed the Hague Convention on the Civil Aspects of International Child Abduction this January. International child abduction is often synonymous with parental kidnapping, whereby a parent removes a child from his country of residence and takes him to another country for an indefinite period of time. This forced removal creates a jurisdictional conflict of law, complicating custodial battles and endangering the emotional welfare of the child. Prior to Japan’s Hague Convention ratification, this often resulted in a Japanese mother divorcing a foreigner overseas and then taking her child back to Japan. Once in Japan, Japanese family law favored the rights of the mother, rendering the father powerless and all but ensuring he would never see his child again. In short, the law was structured as a “winner-take-all-system,” and at greatest cost to the foreign-born father. Given how archaic this system of law is, it is a wonder that it took Japan until 2014 to become a signatory to a treaty that provides a clear framework for a more equitable division of custodial responsibilities. And yet, Japan was the last G-8 country to sign the treaty and the 91st in the world to ratify it. According to Jeremy Morley, an international child abduction lawyer in New York, Japan only ratified because of external pressure. 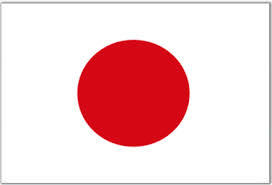 “There was a series of demands by western countries, calling on Japan to change its practices. And these demands came from the highest offices—the foreign ministers of prominent world powers,” Morley said. Bryce Neier, an international lawyer who has handled child abduction cases across the U.S., Europe, and South America, echoes this sentiment. He argues that Japan’s choice to sign was a consequence of foreign countries, particularly the United States, calling for immediate compliance after several international child abduction cases made major media headlines. Japan’s reluctance to sign and ultimately enforce the Hague Convention is deeply rooted in centuries of cultural conservatism. Japanese family law treats a married couple and their children as a single unit and subsequently favors the preservation of that unit. The international treaty, on the other hand, considers parents and children to be individuals and provides legal recourse so that all parties are recognized accordingly. As Jones explains, “Japan still can’t deal with the concept of a married couple having different last names so it is hard to see them getting on board with radical notions like joint custody.” And while Japanese divorce is on the rise—peaking at 27 percent in 2002—no formal framework for joint custody has yet been established. Of course, cultural relativism is not the only factor at play. While many can acknowledge that Japanese family law is out of date, few government bodies—including the National Diet (Japanese legislature)—are interested in revising the civil code. Conservative politicians, like Prime Minister Shinzo Abe, stand to gain more from protecting traditional family values than kowtowing to the demands of western powers. In other words, while the Japanese Foreign Ministry has officially signed the Hague Convention, its judicial structures are unlikely to amend their adjudicative processes anytime soon. Already, there is evidence that the Japanese legislature is taking advantage of the treaty’s ambiguities. According to Article 13b of the Hague Convention, an abducted child does not have to be returned to his home country if there is a “grave risk” to his psychological or physical welfare. In adopting this article, the Diet broadened the scope of this defense to include not just the child, but the Japanese mother as well. For example, a Japanese mother who has abducted her child can argue that returning the child would place an undue economic burden on her. Under Japanese doctrine, her alleged economic situation would meet the ambiguous “grave risk” standard. Simply put, Japan’s law “opens the door to a defense that can defeat almost any application for return,” Morley says. Despite Japan’s resistance to comply with the new international standards, Neier believes this is “clearly a positive step forward.” Prior to Japan’s ratification of the treaty, child abduction cases in Japan were a complete waste of time and financial resources. At least now Japan has adopted, if only technically, international parameters for adjudication. There is also tacit acknowledgement that Japanese family law, as it stands, is in desperate need of revision. If the Japanese courts continue to rule against foreign fathers, it is quite likely that the same western forces that demanded ratification of the Hague Convention will also demand more rigorous modifications to the Japanese judicial system. And this time, those forces will have the added weight of the international community behind them.